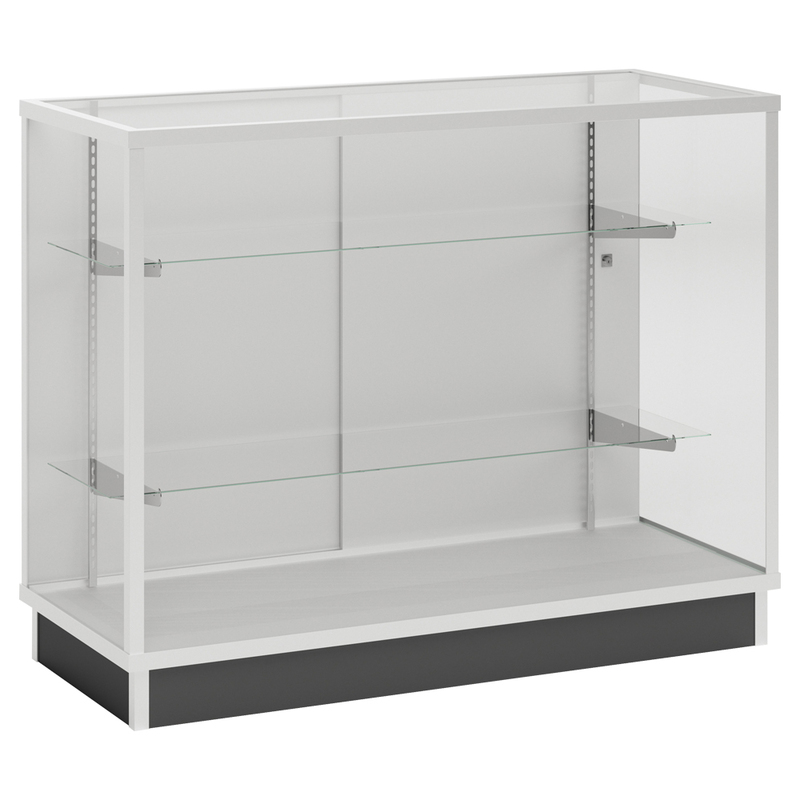 Metal Framed Extra Vision showcases have a durable melamine laminate exterior finish. Tempered glass top, front and sides. Satin finished clear anodized aluminum frame extrusion with 6 in. black toe kick and white interior. Bright white finished sliding doors. 34 in. High front viewing area. Two rows of adjustable 3/16 in. split glass shelves. Adjustable top shelf is 10 in. D and bottom shelf is 12 in. D. Chrome finished standards and brackets.